The Brand Amp has been the automaker's PR AOR since 2015. CYPRESS, CA: Mitsubishi Motors North America has renewed its PR AOR contract with Newport Beach, California-based agency The Brand Amp. Jeff Holland, Mitsubishi Motors’ director of PR in North America, told PRWeek he decided to review his company’s AOR relationship shortly after he started in his position earlier this year. "When I took the job at Mitsubishi in April of this year, our existing AOR’s [The Brand Amp] contract was about to end," Holland said. "Since I hadn’t had any real exposure to The Brand Amp, I felt it prudent to conduct a formal RFP to assure that we had the appropriate level of high-quality service our brand expects." Mitsubishi Motors North America has been working with The Brand Amp for three years and the new contract starts December 1, said Holland. He would not reveal the length of the new contract or its dollar amount. Holland said there were a total of four agencies involved in the pitch, which took place earlier this year. "The review took a couple months over the summer," he said. "And involved capabilities presentations, thorough discussions, a Q&A period, and creative ideas from the other submitting agencies." Holland would not disclose the names of the three other agencies involved in the competition. However, Finn Partners responded to the RFP, but decided not to pitch for the work. He explained that he is looking "for more of an evolution" relative to Mitsubishi’s strategic communications and media relations efforts to expand beyond the traditional automotive and business media into the lifestyle and social influencer space. 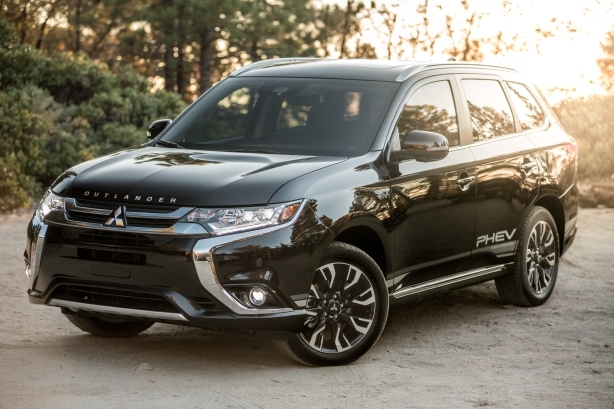 "Our product lineup has changed to offer more versatile options and I view it as an opportunity to relaunch — or effectively launch — the Mitsubishi brand," he said. "The Brand Amp has the historical perspective of where we’ve been and had a good grasp of where we wanted to go, so they were a logical choice." In 2015, Mitsubishi Motors North America hired The Brand Amp as its PR AOR, supporting brand and product communications and the automaker’s media bureau and auto-show presence. The Brand Amp cofounder Todd Brooks said being the incumbent had its good and bad aspects. "We viewed our position as both an advantage and disadvantage," he said. "After three-and-a-half years, we had a tremendous amount of institutional knowledge and insight into what works and doesn’t work at Mitsubishi. However, that can be a disadvantage in a competitive pitch, because other agencies can present compelling ideas without really knowing if they could realistically be implemented." Still, he said the did rely, at least in part, on their experience with the car company in the pitch. "Our response was a mixed bag of current strategy and new ideas that promoted Mitsubishi’s value proposition, leveraged years of positive sales momentum, provided a plan for establishing the company’s new CEO as a thought leader in the plug-in electric hybrid crossover space, and promoted the brand’s current and future innovations in the electric vehicle space," Brooks said. The Brand Amp’s clients include AT&T, Uno, Hot Wheels, Red Bull, Mattel, and Wilson, according to the firm’s website. In September, Mitsubishi Motors North America reported that sales were down 8.6% compared to the same month in 2017. Although for the calendar year to that point, sales increased 17.9% compared to the same period in 2017. Editor's note: This story was updated with comment from Brooks on October 11 and on October 12 to clarify the extent of Finn Partners' participation in the review.